I opened the fridge this morning only to find this guy smiling up at me. 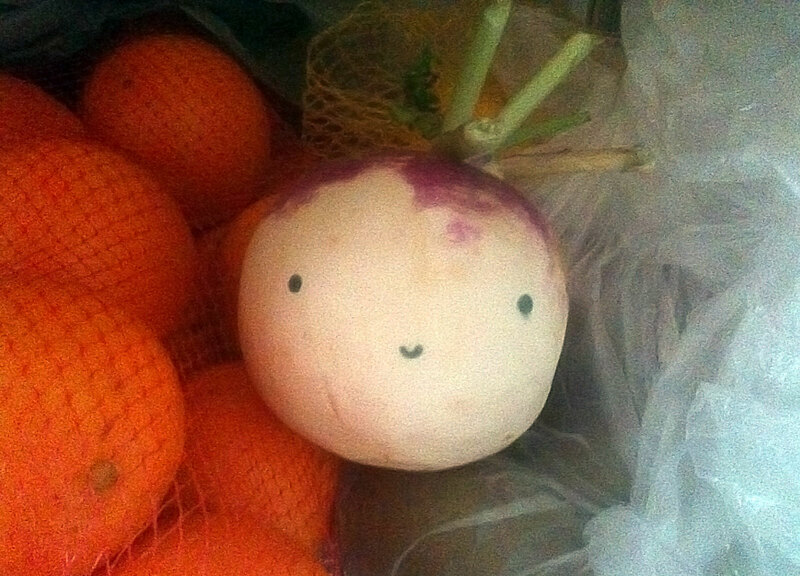 I can't be certain, but I am pretty sure, that this is the happiest turnip I have ever met. I have never in my life seen a happier turnip! If only my vegetables were so happy. Well, he was by and far, the happiest vegetable in the fridge. None of the others came even close to this turnip in terms of mirth, perkiness and pep. A delight to be around such a turnip!